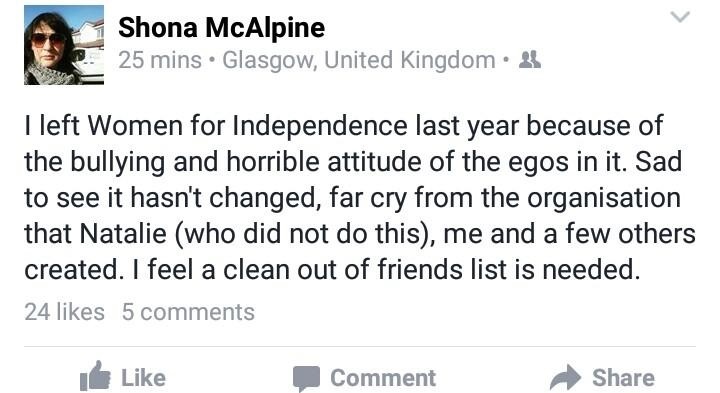 In an extraordinary Facebook rant to her 2000 ‘friends’ Shona McAlpine has called Women For Independence (WFI) bullies and that embattled SNP MP Natalie McGarry is innocent. McAlpine is office manager to prominent Scottish Government minister Humza Yousaf MSP. Questions are emerging from today’s news. When was SNP HQ informed of the impending allegations of wrongdoing by one of their MPs, 7 SNP candidates and a SNP branch convener who all signed the statement? The allegations centre on funds collected via a PayPal account linked to ‘crowdfunding’ initiatives. 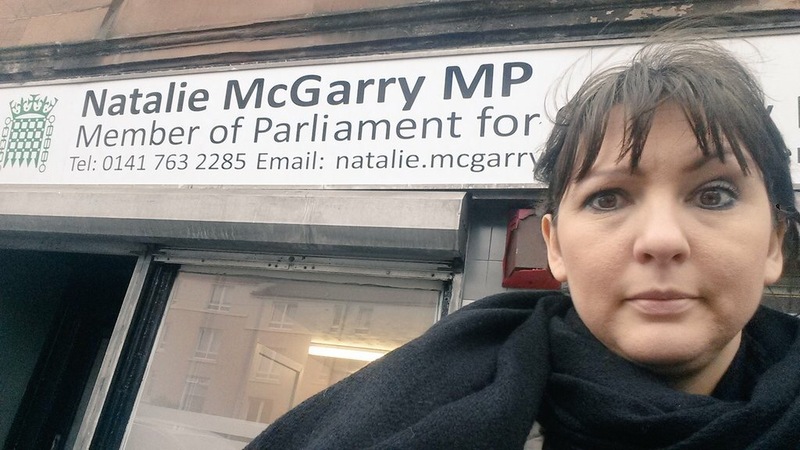 Natalie McGarry MP says she is not guilty of any wrongdoing and has hired leading lawyer Aamer Anwar to represent her. 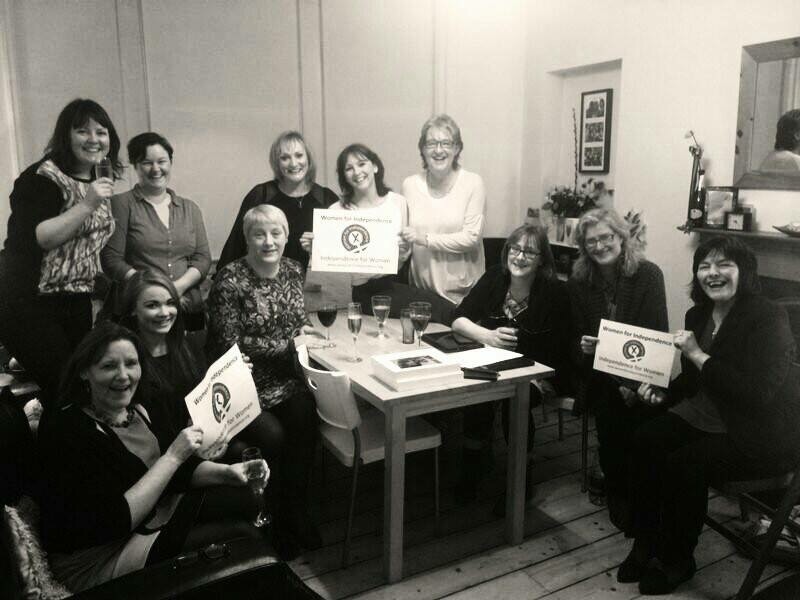 WFI National Committee in happier times, March 2014. Shona McAlpine and Natalie McGarry in attendance. That lot in the picture gie me the willies. I don`t like McGarry, I don`t like the SNP but it has to said……………this has Leckie`s fingerprints ALL over it…. Where is the cash ???? who pocketed the cash ? ?